The Adelphi Mill is a recently refurbished cotton mill that provides beautiful office space to let for businesses or companies looking for a picturesque work setting. The contemporary offices sit alongside the Macclesfield Canal on the edge of the Peak District and the location provides a sense of history alongside a modern location. There are many interesting and informative facts about the old and new Adelphi Mill building. The Mill was erected by the Swindells brothers George and Martin and is located on the banks of the Macclesfield Canal. The building was used for the spinning of cotton yarn and was created as part of the Swindell brother’s textile industry chain. The Swindells were a significant family when it came to the textile industry, and were owners of other local mills within the area. They also owned Clarence Mill, a mill that stood on the canal side north of the Adelphi. The Mill was initially constructed of Ashlar, sandstone blocks with slated covered roofs, and is now a modernised building offering commercial space for rent. The Adelphi Mill is a Grade II listed building, built on a strong sense of history and hardworking people. A listed building is a unique honour in British architecture, and there are just under 500,000 buildings in the UK that are classified as listed. A listed building is one that is a building in the UK that has been placed on the statutory list of buildings of Special Architectural or Historic Interest. The Adelphi Mill continues to stand proudly and cannot be altered without permission, so the strong history of the building still exists today. There is great importance on Grade II buildings which the Adelphi Mill aims to portray in today’s modern world. The Adelphi Mill is based in Bollington, a small town and civil parish in Cheshire. The Adelphi Mill and the Clarence Mill are based on the Macclesfield Canal, and the area of Bollington near the peak district has been locally nicknamed the ‘Happy Valley’. The history of the Mill stands proudly alongside the history of the ‘White Nancy’, a monument built to commemorate the Battle of Waterloo and Napoleonic Wars. In the 19th and 20th Century Bollington was a popular cotton spinning location, and it is now a popular location for maintaining a sense of history within a modern world. An interesting fact about Bollington is that it is twinned with Thurles, County Tipperary in Ireland. The Adelphi Mill is subvided into offices and industrial units. The upper level have traditional timber bridging beams supported by three rows of cast iron columns. The building has been thoroughly updated since its days as a cotton spinning mill, with the building being made fireproof and the interior being updated. The history of the building may not exist on the inside, but some stone walls remain that remind people of the strong history of the building and location. The Adelphi Mill has many exciting on site facilities to enjoy, including an onsite café , coffee shop and gym. The café/ restaurant is open weekdays and offers a wide range of breakfast, lunch and refreshment choices. 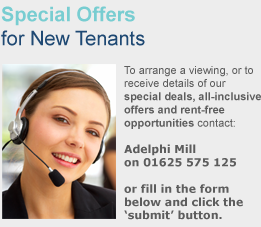 The gym is fully equipped and all Adelphi mill tenants can benefit from the generous membership rates and pay as you go prices. The modern building is perfect for anyone who wants to run a successful business whilst being surrounded by a relaxed and efficient environment. The Adelphi Mill is an old cotton mill that has been refurbished into office space available for businesses and companies to rent. The historic building and beautiful location makes the building a perfect place for those who want to work in modern office space, whilst being surrounded by history and a picturesque location. How Can I Cut Back on Costs Near Christmas? Copyright 2015 Adelphi Mill Properties Limited. Registered in England and Wales. 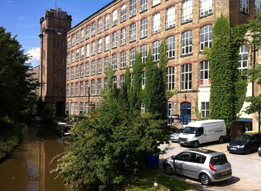 Registered Office: Adelphi Mill, Grimshaw Lane, Bollington, Macclesfield, Cheshire, SK10 5JB. Company Number: 03683411 VAT Number: 736 3126 44.